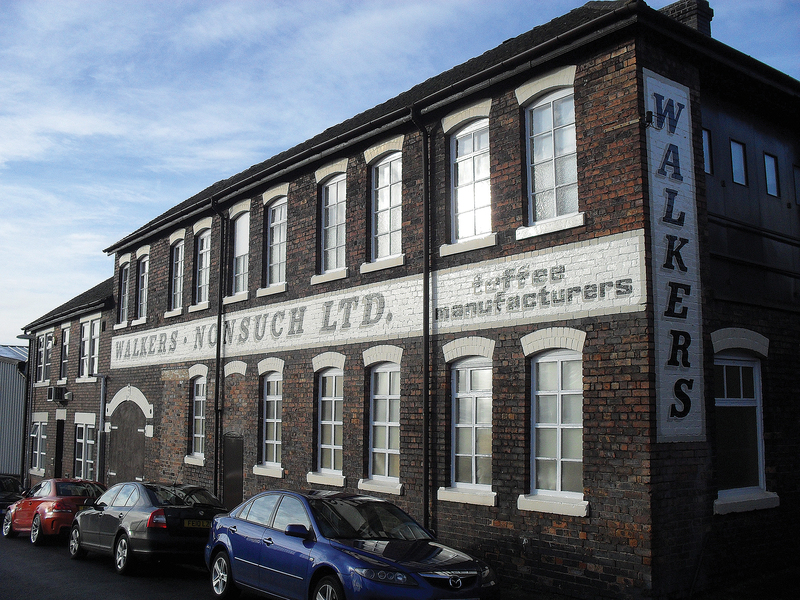 Altrincham was an easy choice as a ‘50 Buildings’ subject because it is home to many historic locations. These include Dunham Massey Hall and park, established by Hamon (Hamo) de Masci after the Norman invasion. In 1290 the town was granted a Charter as a free Borough and a weekly market was established on what is now called Old Market Place, by Baron Hamon de Masci V. There is now a market hall on Market Street, which has become a new and busy focal point for this bustling market town. Many listed buildings are also included in this volume, predominantly those of Georgian origin around Market Street, which are particularly evocative of their era. Dunham Hall and some structures within the park also feature. The property, now owned and operated by the National Trust, is home to many family treasures of the Earls of Stamford, who were the original occupants of the hall in the Georgian, Victorian and Edwardian eras and until the last and Tenth Earl of Stamford died in 1976. The park was established in Norman times as a deer park and for hunting purposes and there are still deer roaming free in its environs to this day. 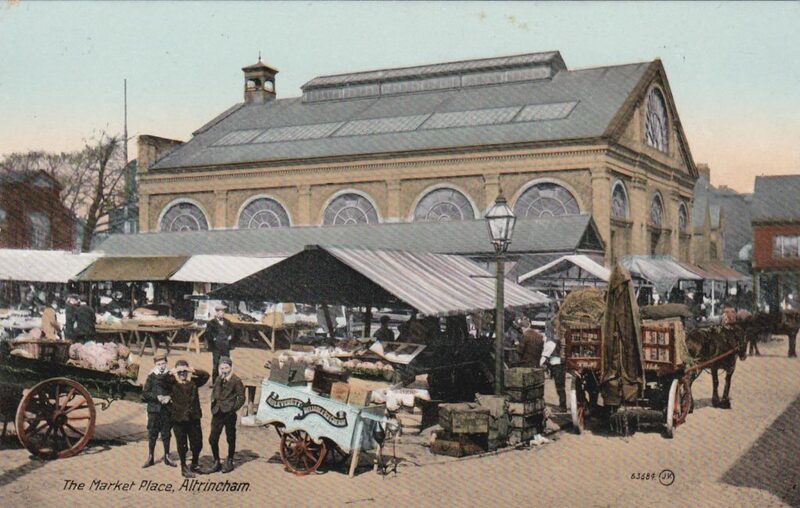 Another historic district of Altrincham is Old Market Place, where I have grouped some of its buildings together in order to easier identify its varied history. It has been a vital hub to the town’s administration and function since Altrincham’s foundation as a Borough. The ‘Court Leet’ elected Mayors, kept the peace and regulated markets and fairs until it was abolished in 1886. Old Market Place was also the site of a local court, prison lock-ups, and stocks, all used to keep order. 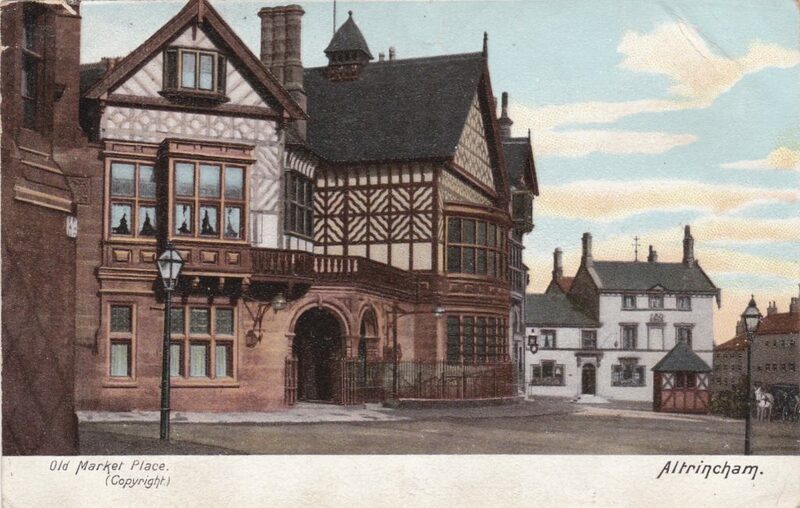 In 1849 a new town hall was constructed next to the Unicorn Hotel (Old Market Tavern). It was an important focal point until new council offices were constructed on Market Street, c. 1900. Altrincham has a very distinctive look around Old Market Place, with George Truefitt’s Cheshire ‘black and white’ still emphasising Altrincham’s rural past. The influence of the Earls of Stamford survives throughout the town, both in the buildings they constructed and in the road names they left behind. The town has also been significantly influenced by transport developments, particularly by the construction of the Bridgewater Canal, its infrastructure and the development of industry along its banks. The railway saw similar developments, with the construction of Stamford New Road, now one of the many Conservation Areas around the town. 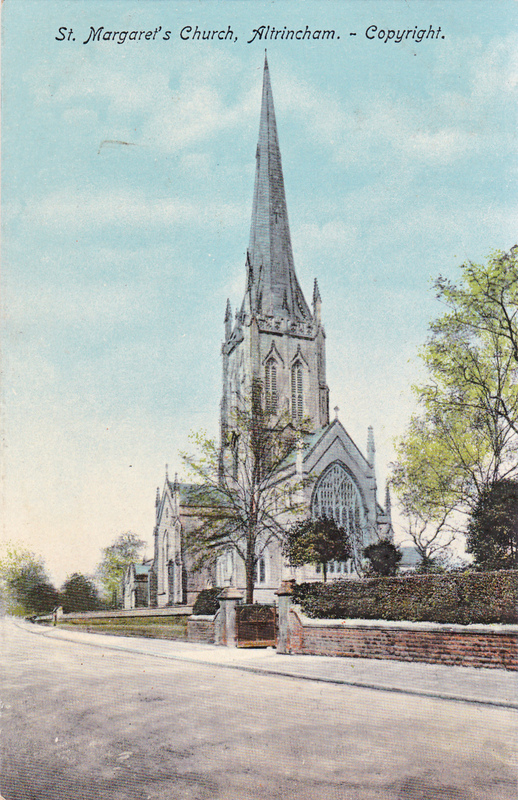 The book also includes other significant landmarks, such as St. Margaret’s parish church and war memorial, the stadium of Altrincham football club and the Garrick theatre, all important elements of the town’s social infrastructure. 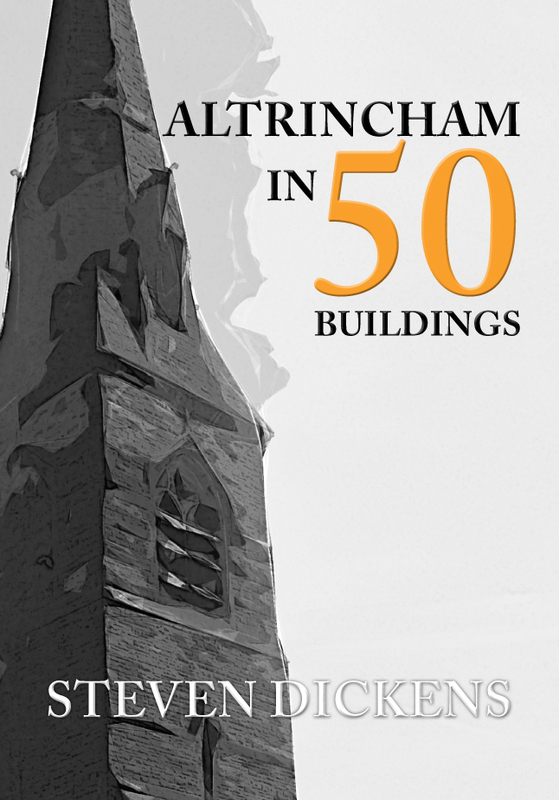 Steven Dickens' new book Altrincham in 50 Buildings is available for purchase now. This entry was posted in Blog and tagged Altrincham in 50 Buildings, Altrincham, In 50 Buildings Series, Steven Dickens, Manchester, Architecture, Local History, Amberley Publishing on November 1, 2018 by Amberley Publishing. Aberdeen has all the appearance, and is furnished with most of the attributes, of a wealthy metropolis. It has all the public buildings which distinguish a capital. The streets possess the proper degree of regularity and elegance. It has busy crowds, in which the stranger soon loses himself; and its inhabitants, when inspected individually, are found to possess the dignity, the wealth, and the enlightened views, which are never to be found but in towered cities. The visitor enters the city by a long, spacious, straight, and regular way, denominated Union Street, which, when completed to the utmost of its designed extent, must turn out decidedly the finest thing of the kind in the kingdom. Previously to the opening of this way in 1811, the town was entered by a series of narrow tortuous streets. The most remarkable thing about Aberdeen in the eye of a traveller, is the stone with which it is built. This is a grey granite, of great hardness, found in inexhaustible profusion in the neighbourhood, and of which vast quantities, fashioned into small blocks, are annually exported to London, for the paving of streets. Though not polished, but merely hewn into moderate smoothness, this forms a beautiful wall, of a somewhat sombre colour it is true, but yet strikingly elegant. 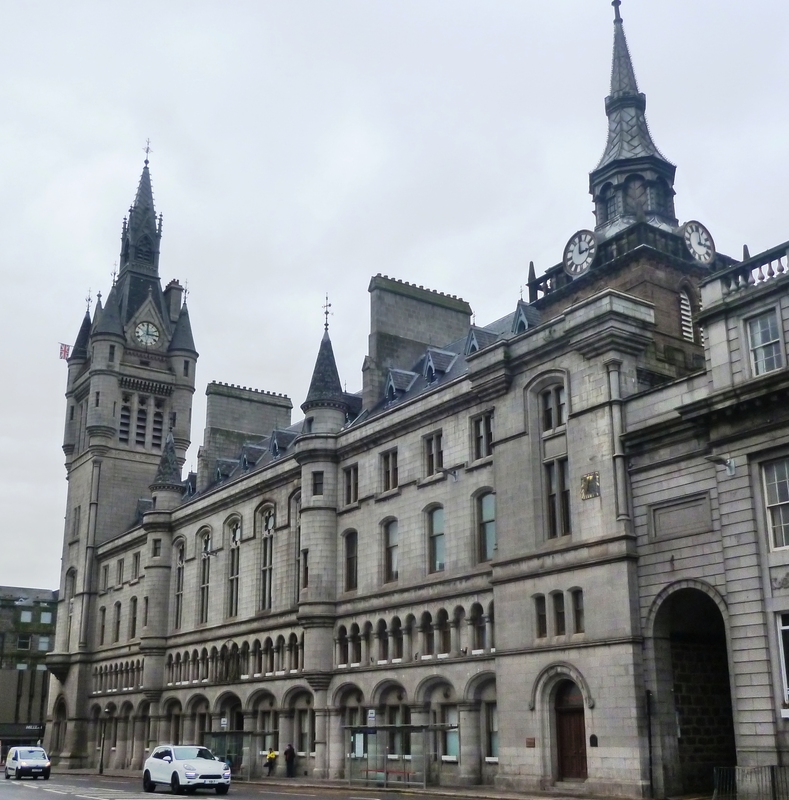 Aberdeen is a flourishing port, and is the seat of a set of active and prosperous merchants. It is the place where commerce first took its rise in Scotland. Having thus got the start by many centuries of every other commercial city, it has maintained all along to the present time a certain degree of advance; it is certain that in no other place is the mercantile science so thoroughly understood, or the commercial character carried to a pitch of such exquisite perfection. Aberdeen originally developed around St Katherine’s Hill, a prominence that stood in the middle of the present-day Union Street. The town was given royal burgh status in the twelfth century and the Castlegate, or Marketgate, was the historic heart of the medieval burgh. The harbour was fundamental to Aberdeen’s prosperity and the town’s economic importance. The rapid growth of Aberdeen in the eighteenth century resulted in its expansion beyond the tightly confined medieval streets around the base of St Katherine’s Hill. A number of new streets were formed during this period of planned expansion. In 1794, Aberdeen town council requested the engineer Charles Abercrombie to provide plans to rationalise the muddle of old unplanned streets of an increasingly wealthy and self-assured Aberdeen to connect the town to the surrounding countryside. Abercrombie’s bold plan proposed a significant Georgian rebuilding of the city with two major new thoroughfares – one running westwards from the Castlegate to the Denburn, and the other north. An Act passed on 14 April 1800 approved the construction of the new streets – the road to the west became Union Street and the road to the north was King Street. These new roads represented major engineering enterprises and set the context of modern Aberdeen. Union Street was a particularly challenging project – the street had to cut through St Katherine’s Hill, required a series of arches and a bridge over the Denburn. 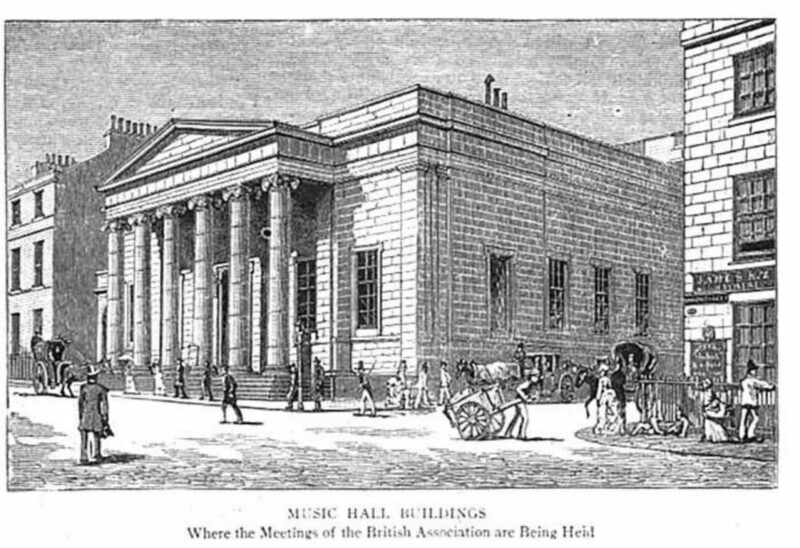 The generous scale of Union Street allowed the construction of buildings of substantial size and importance, and established Union Street as Aberdeen’s main thoroughfare. The street was named to commemorate the union of Great Britain and Ireland, in 1801. 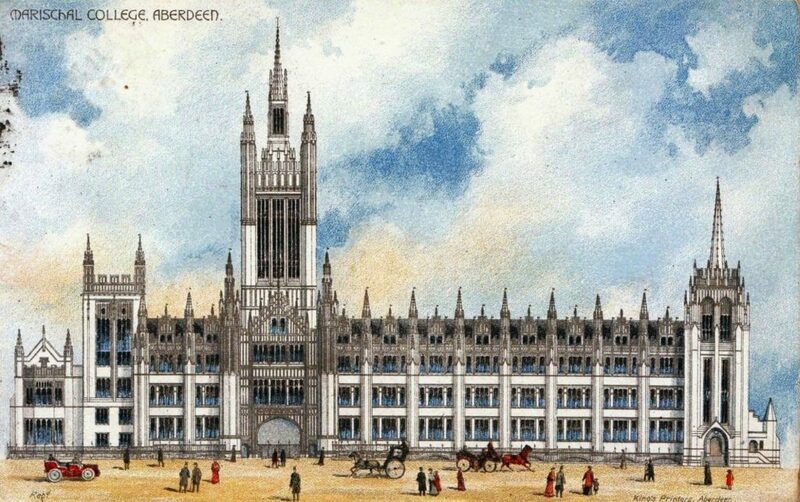 John Smith (1781–1852), Aberdeen’s City Architect, and Archibald Simpson (1790–1847) were the leading architects involved in this great remodelling of the expanding city. The predominant use of locally quarried grey granite up to the mid-twentieth century is a distinguishing feature of many of the city’s most important buildings, which gives them a distinct glitter in the sun and earned Aberdeen the sobriquet of the ‘Granite City’. 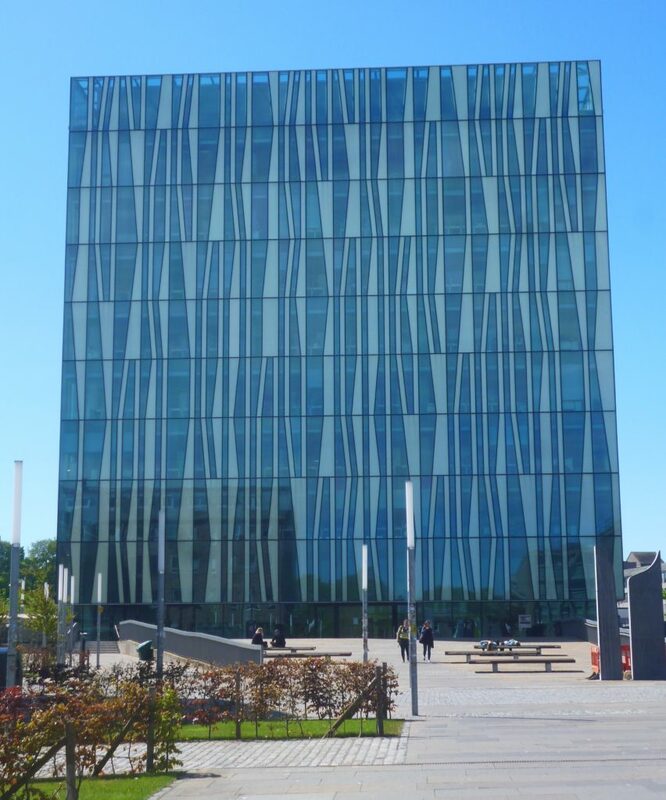 The quality of the Aberdeenshire granite was internationally recognised and it was used for buildings around the world. The excavation of granite from the quarry at Rubislaw, which opened in 1740 and closed in 1971, created the biggest man-made hole in Europe. Aberdeen is a thriving city which has been synonymous with oil ever since the discovery of North Sea reserves in the 1970s. It has a proud and distinctive identity, a wealth of fine heritage buildings and more recent developments of outstanding quality. This has made the task of selecting fifty buildings to represent the best of the city’s architecture immensely difficult. This book takes the development of this rich and vibrant city as its broad theme, and includes buildings which seem to best represent the city’s long history. 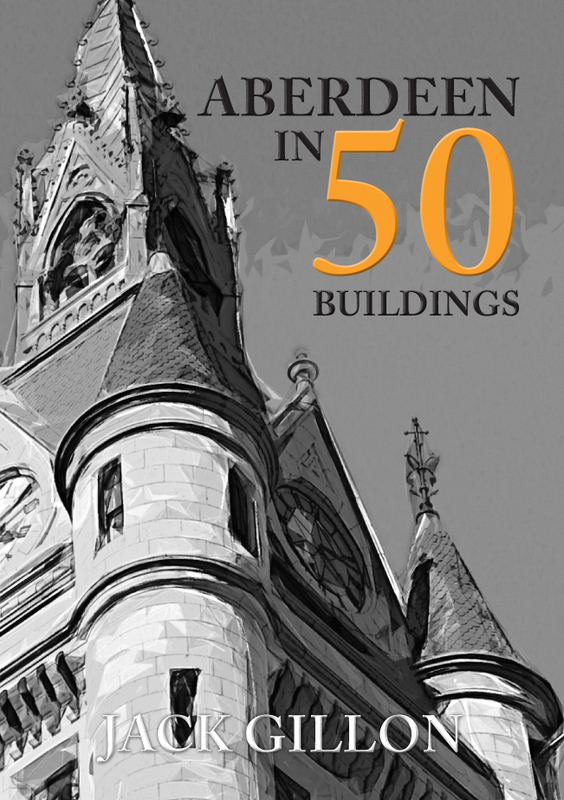 Jack Gillon's new book Aberdeen in 50 Buildings is available for purchase now. This entry was posted in Blog and tagged Aberdeen in 50 Buildings, Jack Gillon, In 50 Buildings Series, Architecture, Aberdeen, Scotland, Local History, Amberley Publishing on October 11, 2018 by Amberley Publishing. Loughborough. When I tell people I live in Loughborough, I am either asked “Where’s that?” or “Do you know Seb Coe / Paula Radcliffe / Liam Tancock / Tanni Grey-Thompson / Steve Backley [substitute here the name of any other sporting personality who may have been an Olympian or para-Olympian, recently]?” However, nobody ever asks me what it’s like to live so far away from the sea. It’s clear though, isn’t it, that since hardly anybody has heard of Loughborough, often doesn’t know where it is, and knows little, if anything, of its heritage, that it’s my job to change that. This was my purpose in writing a book entitled Loughborough in 50 Buildings. So, what makes Loughborough stand out from other UK towns? What about Loughborough is important – either to its own history and development, or at a national level? How is Loughborough at once different and yet, at the same time, the same as other UK locations? Why write a book about its buildings? Well, an examination of the buildings of Loughborough, however brief, throws up both similarities and differences with other towns, and through a discovery of these buildings, the history and fortunes of the town become apparent. We may not have the listed buildings of, say Stamford (Lincolshire), nor the cathedral of Canterbury (Kent), the Tudor buildings of Stratford nor the suspension bridge of Newport (Monmouthshire), but we do have listed buildings, and a fair few locally listed buildings, not to mention a whole host of non-listed buildings, all of which give Loughborough its uniqueness and really are worth shouting about, and shouting loudly. 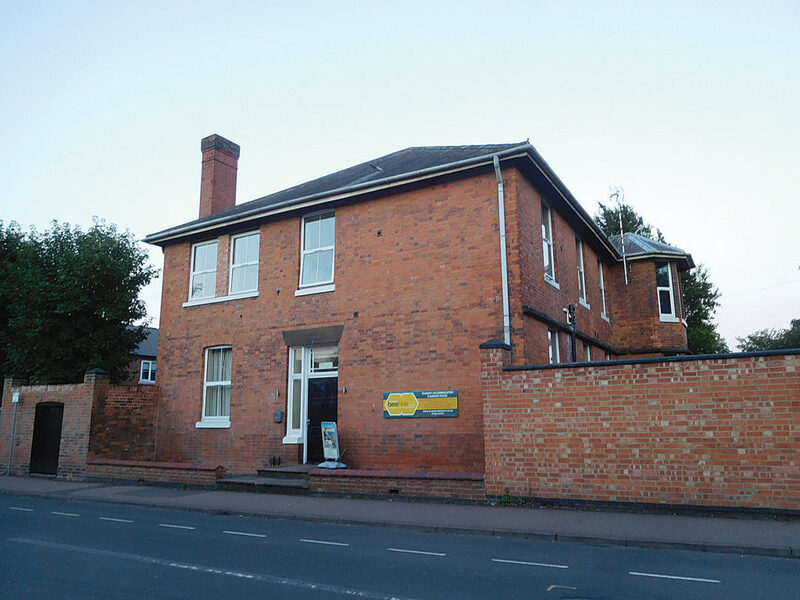 The buildings I have chosen to include in Loughborough in 50 Buildings are a quirky mix of ages and styles, of form and function, and – shock - some of them aren’t actually habitable buildings, but structures of huge significance to the town. A temporal range is included, starting with an Iron Age hill fort and some of Loughborough’s earliest buildings like the Manor House, the Guildhall, the Old Rectory and the Parish Church. Then moving through the Georgian period, to the expansion of the town in Victorian times, and even greater expansion in the 1930s. Today, the town continues to develop and even some 1960s buildings get an entry, with 21st century buildings and structures bringing us bang up to date. 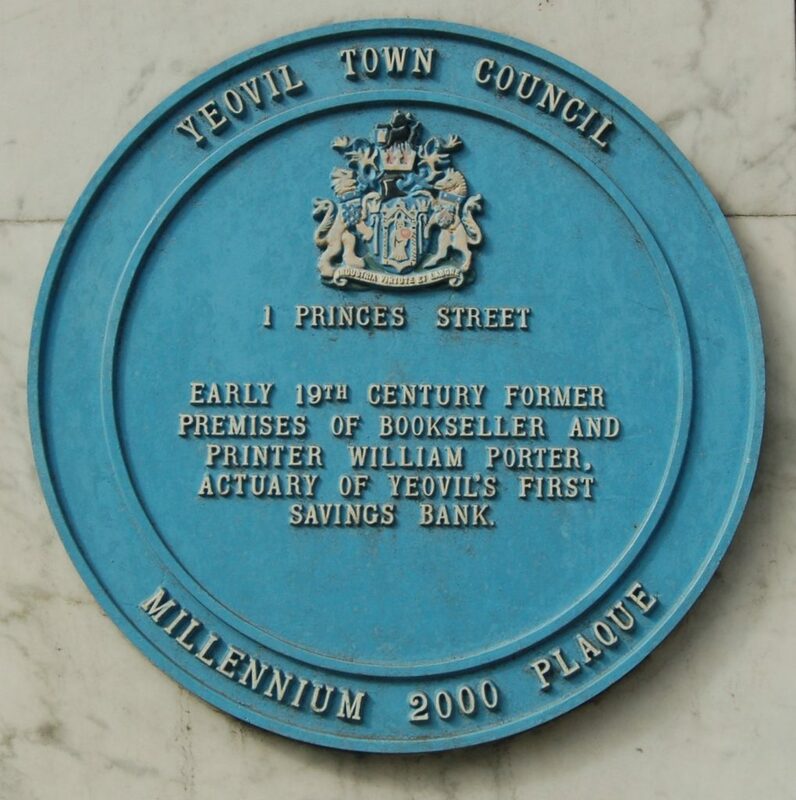 Trades of yesteryear are represented in buildings like the Guildhall, the industrial units of Messengers, Morris and Brush, the service industries by the auction mart of Garton and Amatt and the banks of Lloyds and NatWest. 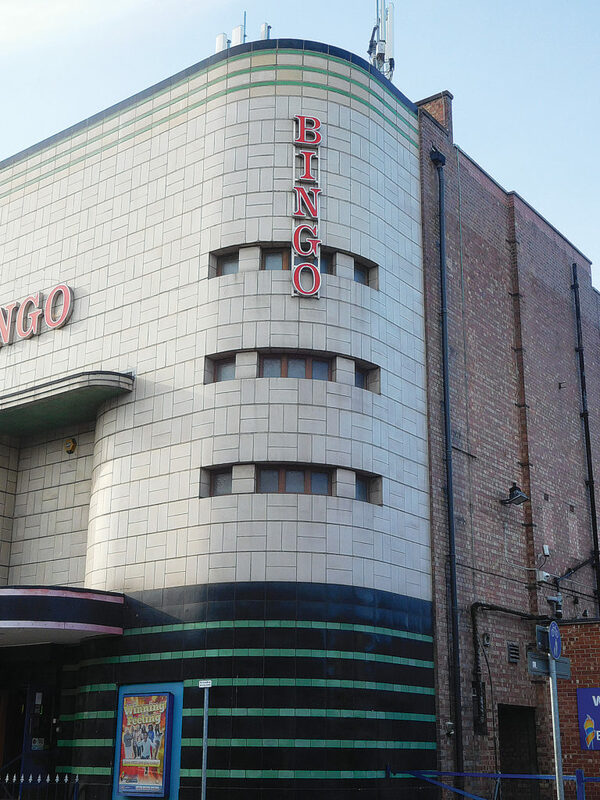 The social life of the inhabitants of Loughborough are shown in the Sparrow Hill Theatre, the cinemas and bingo hall, as well as in the Temperance Hall and the town pubs. The educational life of both town and gown is evident from buildings like the Warner School and the university Towers hall of residence. The whole life span of Loughborough’s inhabitants can be traced from birth, perhaps at Radmoor House, to death and burial at the town cemetery. This book looks to the future with the impressive initiative to reinstate the Great Central Steam train line from Leicester to Nottingham. 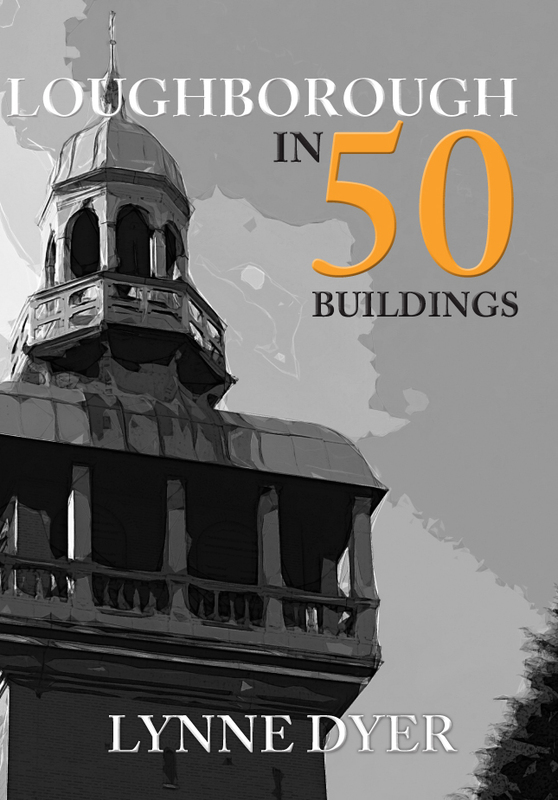 Loughborough in 50 Buildings is my first published book. Well, actually, it’s the first book I’ve ever written! I am a regular blogger (lynneaboutloughborough – no surprise there then!) and I write short articles for a variety of publications, but never before a full-length book. Was it difficult? In a word, ‘yes’! Finding time to dedicate to researching and writing as well as continuing to do the ‘day job’ and keep up with other interests and commitments, required a lot of planning and dedication, but it resulted in a great sense of satisfaction. Oh, and a good deal of self-doubt! What if I’ve got something wrong? What if people who read it come back to me with queries and questions, with counter-arguments and criticisms? Well, I have told people to do just that! Much of history is about an interpretation of the facts, and some of those facts are simply nowhere to be found, or are well-hidden, or have been superseded by further information coming to light that isn’t yet freely available. If my readers don’t tell me about things they think are wrong, about things where they have more information than I do, then I will never learn, and after all, life is one life-long learning journey. So, you may have a number of questions about Loughborough in 50 Buildings to ask me. What was your favourite building? I loved them all – that’s why I wrote about them! But, if I had to chose one, I think it would be Radmoor House. Its position along a residential street that is effectively a dead end (it used to lead through to the main ring road, but now only leads to the College buildings). Its sideways orientation facing a park, but surrounded by a substantial hedge on three sides, means that the full magnitude of the building is not visible from the roadside and one could easily walk past it without giving it a second thought or a second glance. Which is what I used to do when I was a student forty years ago, and which was why I was intrigued enough to investigate its history. And what a history it has!! Lived in by some prominent local industrialists, being a nursing home and the birthplace of many local people, and now a College building, this has to be my favourite. Was there a group of buildings that appealed to you the most? Yes, I’d have no hesitation in saying I am absolutely fascinated by the numerous Art Deco buildings we have in Loughborough, all clad in Hathernware, and still as striking today as the day they were erected. 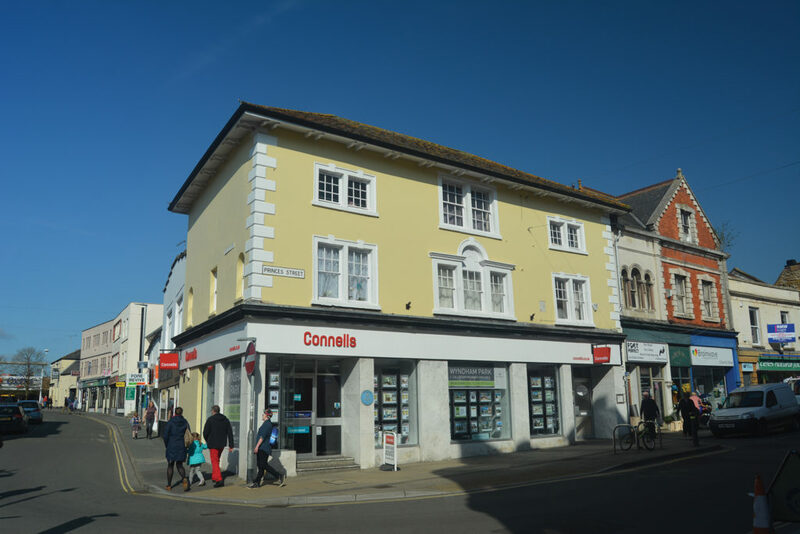 This includes the current Odeon, the former Odeon (now a bingo hall), the building formerly associated with the local newspaper press, the Blacksmith’s Arms and a jewellery shop – to name but a few. What was most exciting thing about the writing process? For me, the most exciting thing about writing was the way everything seemed to be interconnected. The same Loughborough folk popped up in association with several buildings, the same architects designed a number of the buildings, the same builders were involved in erecting several buildings, the same brick manufacturers made the bricks used to build the buildings, and if I mentioned Hathern Station Brick and Terra Cotta Company once, then I mentioned it a hundred times. Apart from the local connections, there were moments when I could connect Loughborough to many other places in the UK. What place hasn’t got its connections with the Civil War? 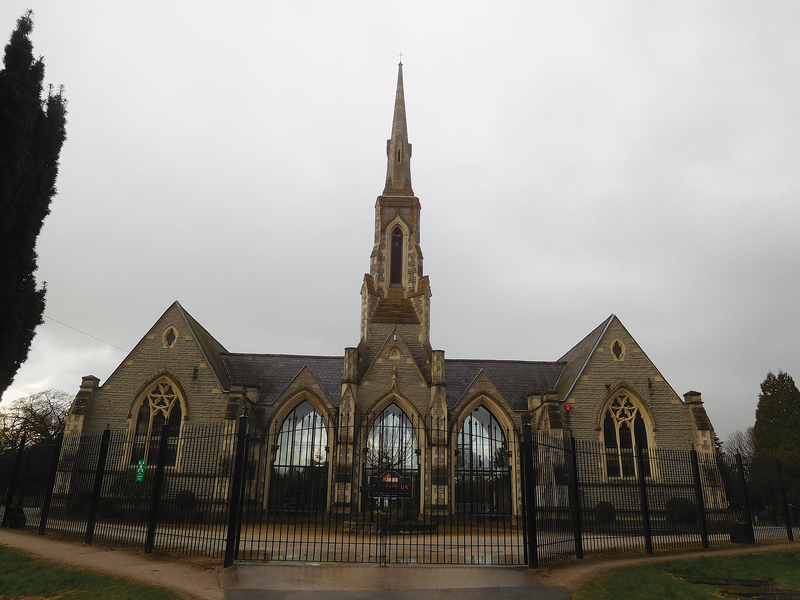 What UK church wasn’t renovated in the nineteenth century by Sir George Gilbert Scott? What town or city didn’t suffer from outbreaks of plague and cholera? Even the smallest of locations had a cinema at one time. And what hamlet, town or city hasn’t got a war memorial? Connections with nearby local places are made through architects like Watson Fothergill working in Nottingham and Newark, and the Goddards in Leicester and Kettering, and with larger cities like London in the use of Portland Stone, and the prolific use of polished Scottish granite across the country. And what connects Loughborough to almost the whole of the UK and much of the rest of the world? Taylors Bellfoundry. Hathernware (previously Hathern Station Brick and Terra Cotta Company), Ladybird Books and Loughborough University. Now that you’ve written one book, would you write another? Ah, that would be a ‘yes’! Secret Loughborough is due for publication in 2019! Lynne Dyer's new book Loughborough in 50 Buildings is available for purchase now. 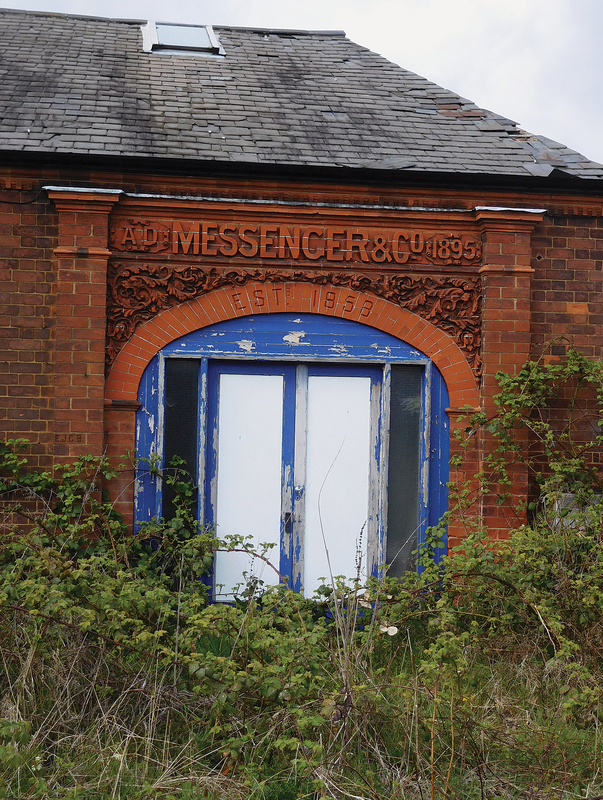 This entry was posted in Blog and tagged Leicestershire, Loughborough, Lynne Dyer, Loughborough in 50 Buildings, In 50 Buildings Series, Architecture, Local History, Amberley Publishing on September 25, 2018 by Amberley Publishing. One man’s meat is another man’s poison. It’s a hoary adage that often springs to mind when I consider the buildings of Stoke-on-Trent or indeed any other city. Stoke has a particularly poor building conservation record – which is a stomach-churning but very necessary accusation for me to make, considering the city’s undoubted and abiding reputation for creativity. Like many other areas – though not all – its building stock is a jarring mishmash of just over 190 listed buildings juxtaposed with concrete banana crates, soulless office and residential blocks and some particularly gruesome manifestations of post-war development. Truth be told, some of the finest buildings in Stoke-on-Trent ape past architectural styles but are nevertheless a feast for the eye. 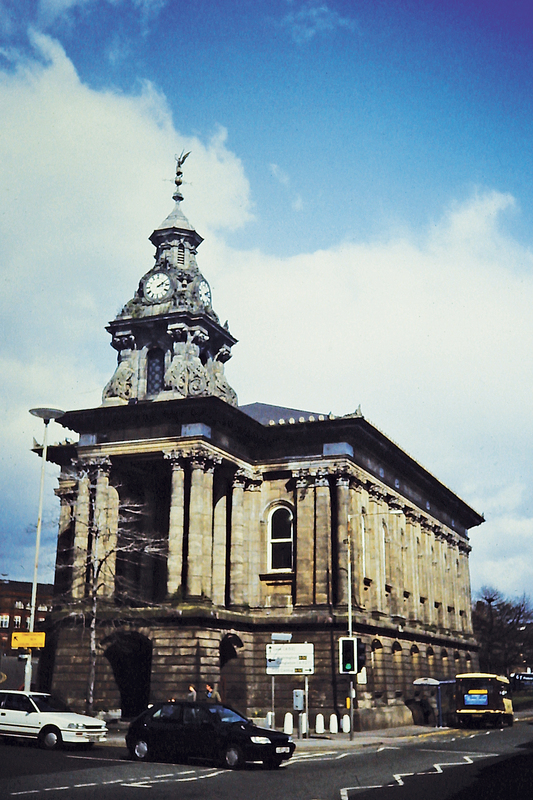 Burslem Town Hall doffs its cap to several and is one of the city’s most handsome landmarks. However, there are very few post-Thatcher era buildings whose design can be described as being influenced by lateral thinking, eccentricity and daring. 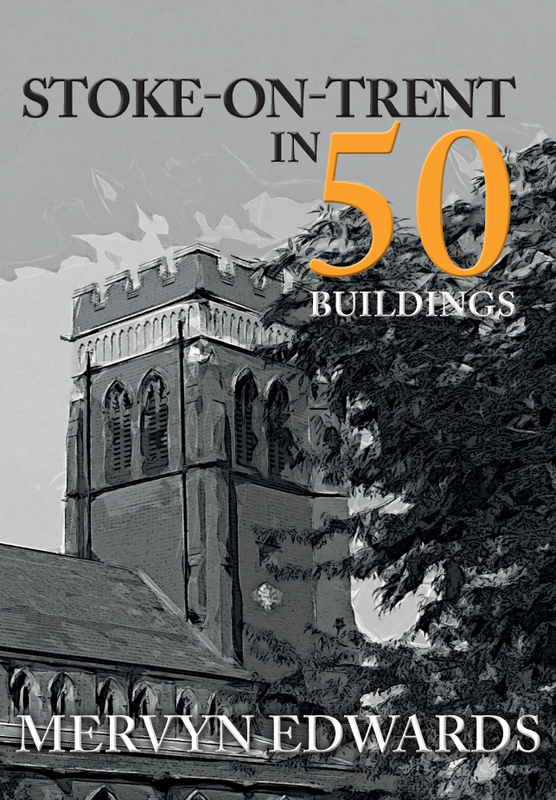 My book, Stoke-on-Trent in Fifty Buildings (2018) was never intended as a Top Fifty picked in order of merit. 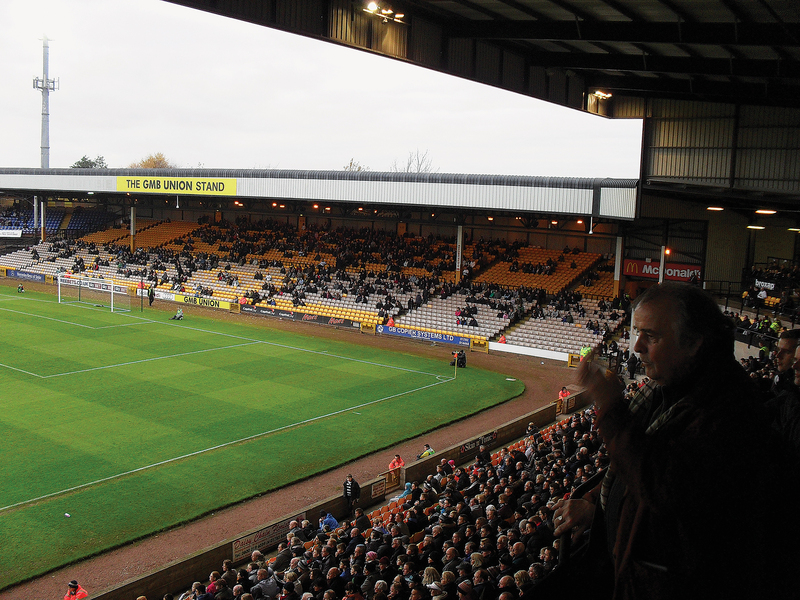 It deliberately lists some odd and hopefully annoying choices such as the Walker’s Nonsuch factory in Longton and the Vale Park football ground in Burslem – buildings that are of their time and tell a particular story. Stoke is sometimes too proud and too parochial to learn from other areas, but I am a huge advocate of comparing and contrasting. When you consider what other cities have achieved, could Stoke not be more madcap and more venturesome? Why can't we have shopping malls as architecturally risky as the Trinity Leeds Shopping Centre or the Selfridges building in Birmingham? Or exciting mixed-use development such as the canalside Nottingham One? Could you imagine something like Blackpool’s famous Comedy Carpet in Market Square, Hanley? And, rising above it, an iconic structure such as the Dublin Spire? At the very least, can’t we have architecture that teaches, that rips up old paradigms and encourages cultural events or public art? Mervyn Edwards' new book Stoke-on-Trent in 50 Buildings is available for purchase now. This entry was posted in Blog and tagged Stoke-on-Trent, Stoke-on-Trent in 50 Buildings, In 50 Buildings Series, Mervyn Edwards, Staffordshire, Architecture, Local History, Amberley Publishing on September 24, 2018 by Amberley Publishing. 22nd June, the height of midsummer, is the day on which the Feast of St Alban is celebrated, and celebrated it is, in a big way, in the town named for that saint, which grew on the site of the execution of Alban, the first recorded British Christian martyr. The Alban Pilgrimage will take place in 2018 on Saturday 23rd June, culminating in a re-enactment of the execution of that citizen of Verulamium on the hill overlooking the Roman city in the 4th century. The spot is outside the West End of the modern cathedral and the drama will be followed by a Festival Eucharist in the church. The procession begins at St Peter’s Church at the northern end of the town and makes its way through the market area to the Cathedral and Abbey Church, which began its life as a shrine to the martyr on the site of his execution. This celebration and festival day is truly of national significance for the culture of this island, given the impact of the event on the development of Christianity in Britain. Locally, the procession is a highlight of the community year, with the multitude of twelve feet tall carnival puppets depicting the saint, Roman soldiers, lions, gladiators, horse drawn chariots, played by 300 or so adults and children. 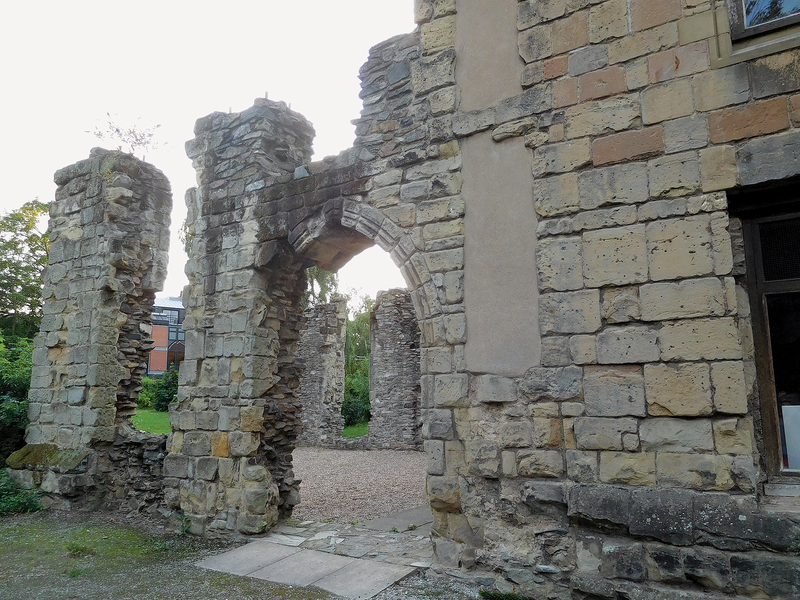 Rebuilt in the 12th century by the Norman invaders, the abbey was all but destroyed completely in 1539 following Henry VIII’s dissolution of monasteries. Only the abbey church and the great gateway entrance survived, having been bought by the newly formed Corporation as parish church, school and prison. These buildings form a notable introduction to the story of the medieval and modern city of St Albans which grew over the last one thousand years in South West Hertfordshire, just 20 miles north of London on the old Watling Street. 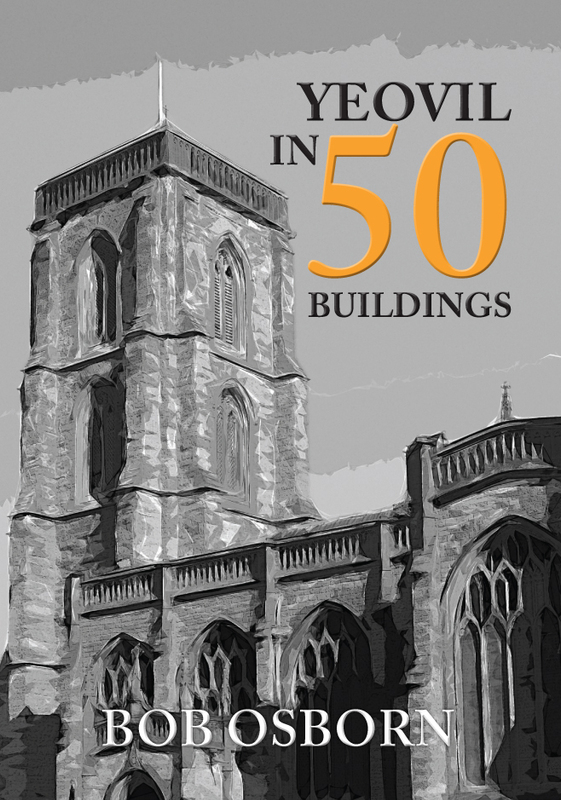 The story is told in my recent book St Albans in 50 Buildings published in February this year. 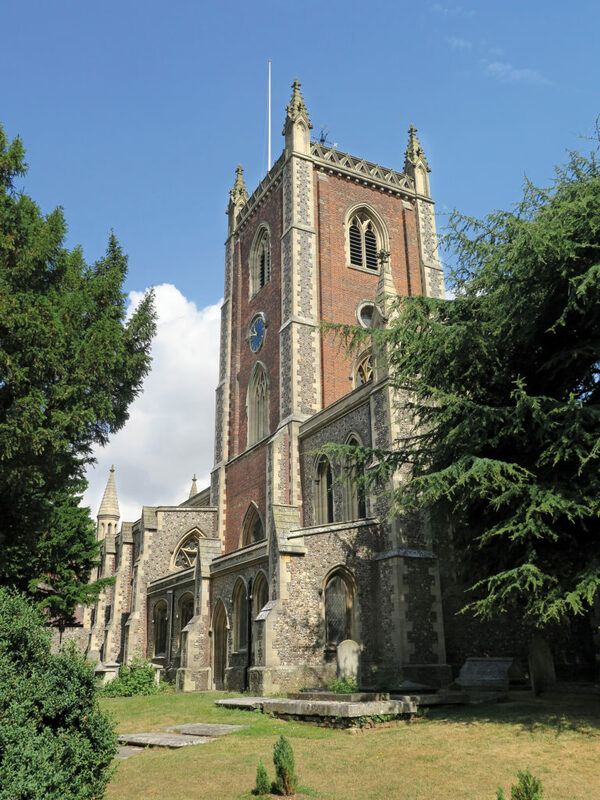 The town has a remarkable number of buildings to illustrate how it developed from being the premier abbey of the land in the Middle Ages, to staging post for packhorse trains and wagons, tourist destination and commuter town. 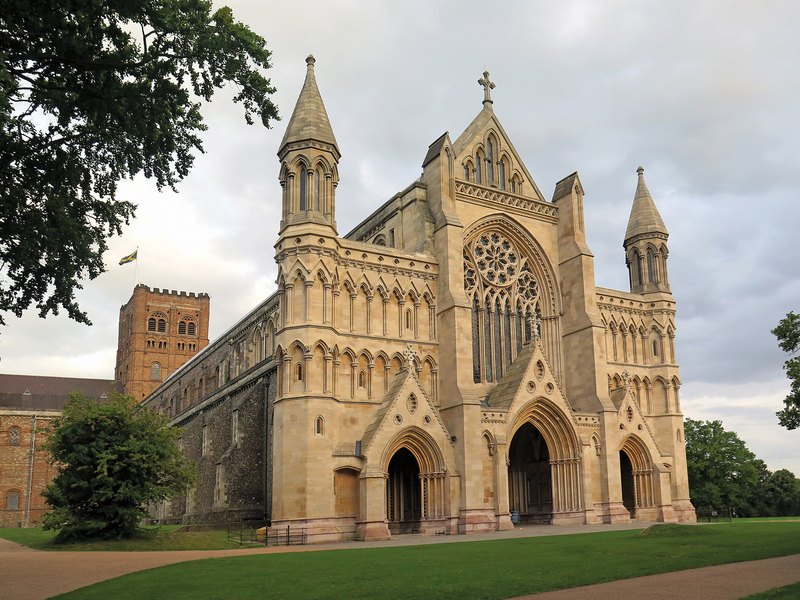 Designated a city by Queen Victoria following the creation of the new Diocese of St Albans in the late nineteenth century, with the Abbey Church as its cathedral, the town had a long and interesting history as a corporate borough with a thriving market throughout the early modern period. With trade and transport at its heart, it hosted not only the Establishment with parish government, but a significant range of dissenting congregations, all of which leave us chapels and meeting houses to remind us of the town’s diverse and wide-ranging history. Industrial buildings from the cotton, silk and straw trades as well as printing and other trade premises remain as well as ancient inns and grand eighteenth century town houses, mostly now in commercial occupation, allowing us an insight into the social history of the town, which can truly be said to represent a microcosm of that of the English nation as a whole. St Albans in 50 Buildings with a map identifying the location of each of the buildings described, provides not only a good history read, but acts as a guide book for the thousands of tourists and new residents in the town. It also provides a taster for further investigation into the pattern of development of the town and its many more interesting buildings from all periods. 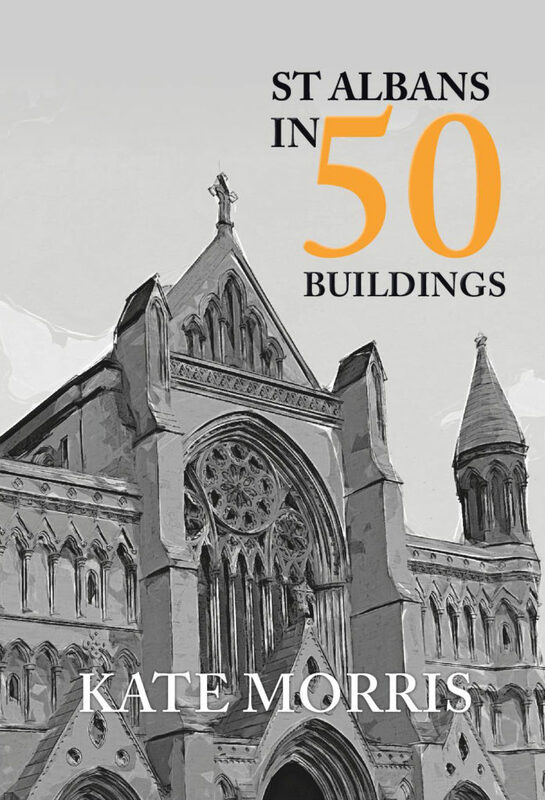 Kate Morris' book St Albans in 50 Buildings is available for purchase now. This entry was posted in Blog and tagged Hertfordshire, Art Architecture & Photography, Structure & Design, Styles & Movements, Types of Architecture, Architects, St Albans, Kate Morris, St Albans in 50 Buildings, Local & Urban History, Cultural History, Photography, In 50 Buildings Series, History, Amberley Publishing on June 21, 2018 by Amberley Publishing.